Trigger Warning: The following talks about drug and alcohol abuse, cutting, and suicidal gestures. I believe that I started to change when I was in 7th or 8th grade. The friends I chose were different from before and I became a sad and angry person on the inside. Many kids go through changes around this age, but I took it a bit too far. Then, one day, I was told that my dad was diagnosed with multiple myeloma (bone marrow cancer). I was devastated. My whole life was turned upside down. The day after I found out about my father’s diagnosis, I remember walking into town and feeling very upset. As I was walking, one of my new “friends” saw me and asked what was wrong. I told him about my father and how upset I was. He gave me cocaine and told me it would make me feel better. That was the start of a treacherous journey over the next many years. Cocaine made me forget how horrible I felt, although it caused so many other problems. My dad’s diagnosis was a trigger for me, but if it hadn’t been that, it would have been something else. My drug and alcohol use as well as my mental health problems were not my father’s fault; in fact, they were no one’s fault. It’s just a part of my story. I couldn’t believe I was losing my father and I didn’t know how to handle it. My parents had me go to therapy, but it wasn’t helpful because I wasn’t honest with the therapist. Over the next six or seven years, I tried just about every drug except for meth, and that’s only because it wasn’t available where I lived. The beginning of my drug use was the beginning of my downfall, mentally and emotionally. I also started cutting around the same time that I started using drugs and alcohol. Cutting caused physical pain, which replaced the emotional pain. It was another outlet that caused more harm than good. I remember that I got caught smoking one day. My parents confronted me about it and I lied to them, which is what they were more upset about. Instead of grounding me, I was allowed to do whatever I wanted, but I had to be with one of my parents at all times. My mom said that I lost their trust. The punishment lasted several months, which felt like forever, until I could prove that I was trustworthy again. I didn’t understand then, but I get it now. Trust is something that’s earned; it’s not a right for anyone. When I was 14, I made a suicidal gesture. I took a lot of a medication, but I took just less than what would kill me. I knew exactly what I was doing; it was a cry for help. This was my first hospitalization. I met my first psychiatrist at this hospital; he treated me while I was admitted and I kept seeing him after. 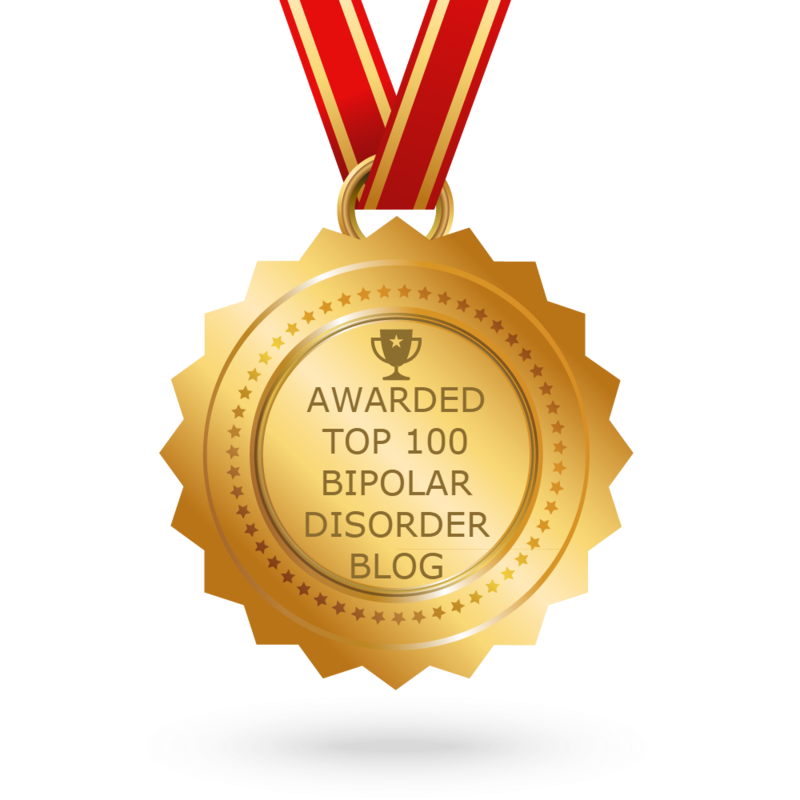 I was diagnosed with bipolar 1 and borderline personality disorder. I think the only reason I was diagnosed as borderline was because of the self-harm. I still think about cutting, but I haven’t done it in well over a decade. My family was very supportive and caring. I even remember at one point, my mom and sister completed the Family to Family course offered by NAMI so they could better understand me. I tried just about every medication and med combo available, but nothing really worked. They probably didn’t work because I was also self-medicating with all sorts of drugs and alcohol. I actually told my psychiatrist about the drugs I was using. I often went to our appointments high. He did nothing about it except ask me not to do that again. Of course I didn’t listen to him. There were also some medications that caused me to gain weight. One med caused an 80 pound weight gain, yet he never mentioned that it was an issue at any of our appointments. Now, as an adult, I’m surprised and disappointed that he never informed my parents about my drug use or the side effects such as weight gain. It never seemed as if that psychiatrist at that time cared about my well-being. I left high school after my sophomore year and went to college at the age of 16. The college was meant for “younger scholars”. I did meet some great friends there who I’m still friends with now, but I also started using more drugs. The actual school part was not a problem. I still did well in my classes, but I stopped caring about school in general. I only lasted one year at that school before dropping out. School was interfering with my drug use, and my mental health was a huge endeavor. I couldn’t do it all, so I left college and eventually got my GED, since I left high school before graduating. I think that the biggest reason that every attempt to stabilize my mental health didn’t work when I was younger was because of my drug and alcohol abuse. I don’t know how to use anything in moderation. I could never have a drink, I would have a bottle. I couldn’t take just one hit; I had to smoke the whole thing. Even if I was doing well, the drug use would screw me up completely. I also didn’t work very hard on my mental health, I didn’t care very much. Now that I know how much of a difference I can make on my own mental health, I take responsibility for my teenage years being mostly a disaster. I was talking to my husband this morning, we were having a conversation about something and then suddenly I changed the subject. I thought he was following along with me, I thought he understood, but apparently I just started talking about something completely different with no notice. My brain was thinking too fast; there was no way for anyone to keep up with what I was saying. I was going from one subject to another, just a single word would trigger a different thought process and then I would be off on that new subject. I spent about 10 minutes just trying to explain how I got to the new topic I was on, and then I had to explain exactly what it was that I was talking about. I’m not so sure if my husband will ever really understand how my brain works. How is anyone supposed to understand something that they are not themselves? No matter how much someone studies the bipolar disorder, I don’t think they will every really understand what it’s like to live with this illness. That is why support groups are so important; they bring people together who live with the same diagnoses. Support groups provide comfort and understanding that cannot come from people who do not have the bipolar diagnosis. This doesn’t mean that people without bipolar cannot support us. I have several people who support me. My family especially is very accepting of my diagnosis and they do the best they can to understand what I’m going through. It means so much to me that my family cares considerably, I’m extremely lucky. In my opinion, others can only understand so much of how we think, but they can accept us for who we are. I know this isn’t easy; sometimes I have a hard time understanding and accepting it all myself. It’s hard to explain to others what I’m feeling, what/how I’m thinking, and what would be helpful. When I’m manic, it can be difficult to slow down enough so I can make sure that I’m making sense, and when I’m depressed, it can be difficult to care enough to explain things to others. I have found two different country-wide groups. The first is NAMI, the National Alliance on Mental Illness, which supports both individuals with mental illness as well as their family and friends. NAMI has a free 12 week program called Family-to-Family that is meant to educate family, friends, and significant others of individuals who live with mental illness. My mother and sister completed this program when I was in high school. I remember that after one of the sessions, my sister came home, hugged me, and told me she was sorry that I had to live with this. She and I struggle in our relationship at times, but the fact that she cared enough to complete the Family-to-Family program, meant a lot and helped us grow closer. I felt more comfortable around my mother and sister after they completed this program. The other national support group I know of is DBSA, Depression and Bipolar Support Alliance. DBSA also supports both those with mental illness and their family and friends. The local support chapters are run by volunteers. Their website helps people find local support groups for friends and family members, for parents, and for loved ones as well as support groups for individuals with mental illnesses. They also have online support groups for each of these different categories of people. DBSA also has educational materials and training options so individuals can start-up and run their own peer support group. I used to go to a DBSA support group, and I found it to be extremely helpful. I also met a lot of friends there that I’m still friends with, which is a big deal for me. Maybe it’s weird that I don’t think others without mental illness can truly understand how I think and what I go through, but it doesn’t mean I don’t think they can care about me or try to understand me. For example, I’ve never broken my leg before, so I don’t really know what it’s like to have that happen to you. I don’t know what it feels like, how much pain it is, how inconvenient it can be, and how you have to change your life so you can heal. I still care about those that I know that broke their leg; I show that I care and that I’m compassionate, but I don’t know what it’s really like. That’s exactly how I feel about mental health. If someone has never experienced it themselves, then they don’t know what it’s like to personally live with mental illness. I’m not sure if that makes any sense to others, but it does to me. Even though no one in my family is also diagnosed with bipolar disorder, they all still try to understand and show me how much they care. I do have an aunt that also struggles with depression, and that brings us closer together. It’s a connection that I don’t have with other family members. My family loves and supports me, and that’s all that matters to me.